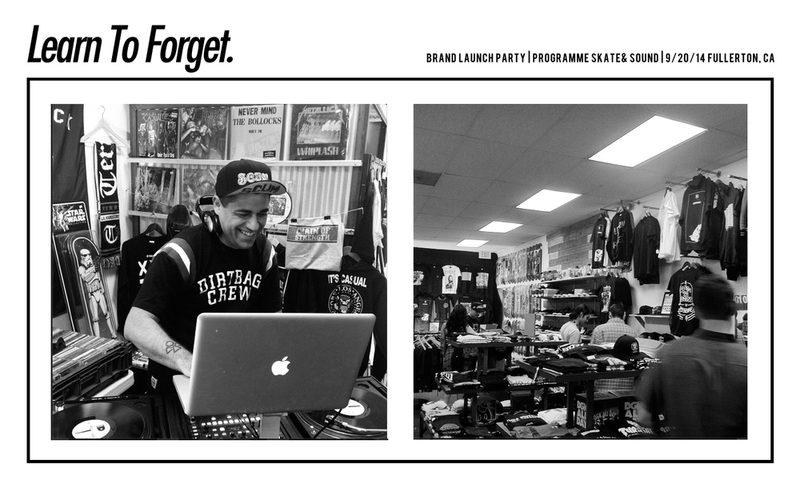 Learn To Forget was proud to have our official brand launch party and pop-up shop at Programme Skate & Sound in Fullerton, CA. Aside from showcasing and offering special pricing the night consisted of; live painting from PALMR PHD LSD, DJ sets from Jay (The Sparring) and Efrem Schulz (Death By Stereo, Manic Hispanic), free drinks, free zine style lookbooks, free slap stickers, and an exclusive in-store only LTF X Programme collaboration T-Shirt. Click through the gallery below to see some moments over the course of the night.